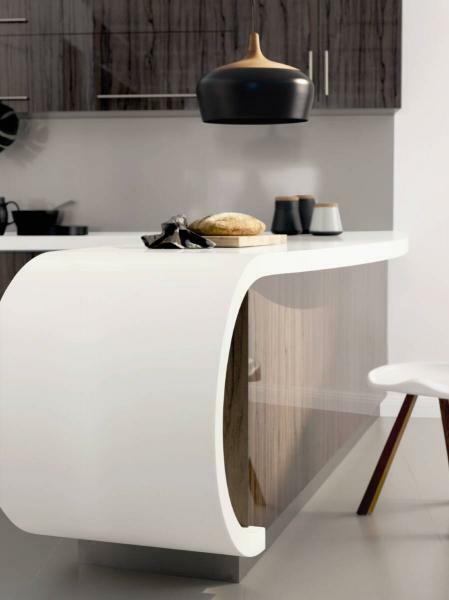 Benchtop in Laminex Freestyle Curve Snow Storm with Laminex CrystalGloss Seductive Limba front panel. 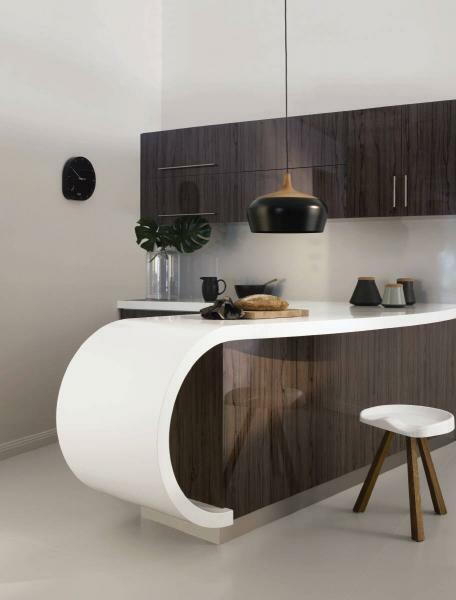 Cabinets in Laminex CrystalGloss Seductive Limba. 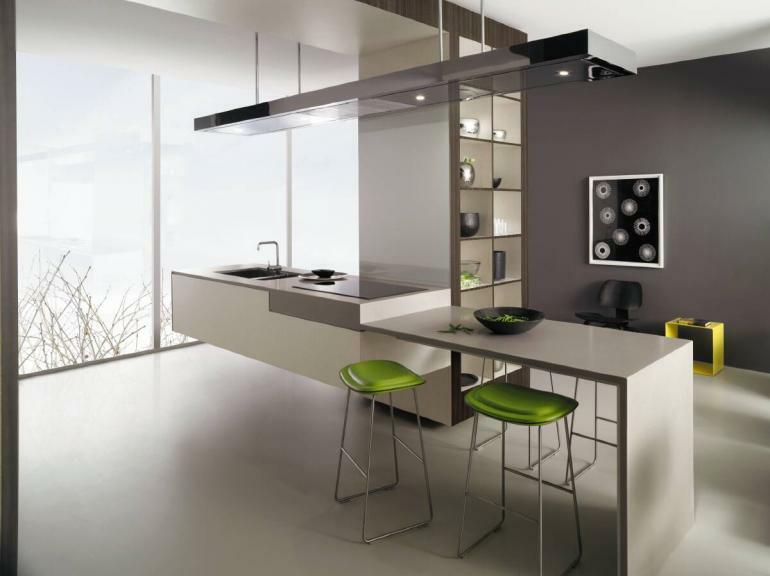 Splashback in Laminex Metaline® Palladium Perle.